Because of its unique position, at the side of Greta Bridge and in the shadow of Greta Hall, Corner Cottage, and the buildings that preceded it, have appeared in numerous engravings and photographs through the centuries. The earliest depiction of the bridge that we have found is a water colour sketch by Joseph Farington RA from around 1789. The large tree would appear to be approximately where the cottage stands today. 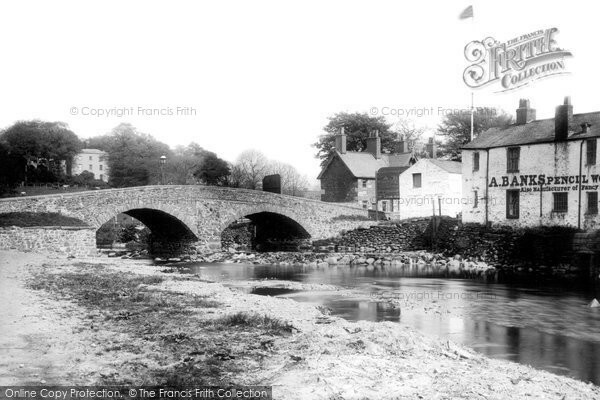 The bridge has been capturd by artists many times since, including a photograph by Francis Frith in 1889 when the cottage is seen in what will become, with a modern extension adding the kitchen and a bedroom, its modern form.